As with so many of the brands we feature, it was a trip to foreign soil that changed Catherine Goulet’s life from becoming a geologist to being a chocolate maker! 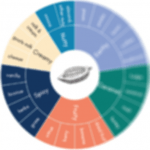 In Cath’s case it was Oaxaca City, Mexico where she discovered the process of making chocolate and after learning about the tough lives of the South American cacao farmers she just had to buy some beans and she what she could do. Avanaa is a word from the Inuktiut language which means “coming form the North” and this drives the mission behind this brand. 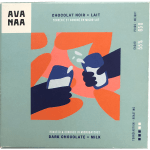 Avanaa's mission is to craft epic single-origin chocolates to honour the hard labour of the cacao farmers.